My father was born in 1900 and died in 2000 and was a great source for family history and lore going back to the 19th Century. I remember our conversations under a big plum tree in our garden. I collected all the scraps of information and computerised them in the early 1970s while doing a computer assignment at Trinity College. The punched cards used in those days were ideal for recording key life events of Family Tree members. I dug out all my old records in 2005 and began seriously devoting time to this hobby. I first tested in 2005 with The National Geographic, Genographic Project using the primitive 12 marker STR test. I uploaded these results to FTDNA and upgraded progressively 25, 37 and 67 and a la carte SNP tests to determine my terminal SNP. I am L21-DF21 on my Y-DNA and H1C1 on my mitochondrial DNA. It was using FTDNA that I first discovered my Minnesota Corcorans who emigrated from Clonfert in the 19th century. I organised a Gathering for this branch of the family in August of this year. When the first 23andme test became available I tested and am now up to one million SNPs. I have over 1,000 cousins using Autosomal matching on 23andme and FTDNA. I ordered the National Genographic 2.0 150 thousand SNP test last year and am looking forward to full Y Chrosomone sequencing. I joined ISOGG in its early days and am actively involved in most of the Genetic Genealogy projects and discussion groups dealing with Ireland. I volunteered for the Irish DNA Atlas Project and helped set up the Irish DNA Roots Project on Ireland Reaching Out and am helping set up the Genetic Genealogy component of the proposed Irish Global Diaspora Center in Dun Laoghaire. I am also interested in applying Internet Platforms and Social Media to Genetic Genealogy. So what will you be talking about at Genetic Genealogy Ireland? As Regional Co-ordinator for ISOGG in Ireland, I will be giving an update on recent developments in Irish genealogy, particularly those relevant to Irish genetic genealogy. 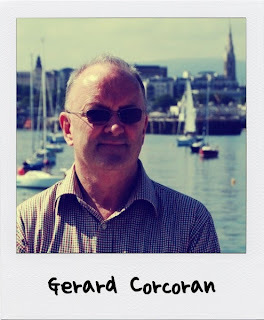 Gerard is Irish representative for the International Society of Genetic Genealogy. As an expert in both IT and genetic genealogy, Gerard has advised groups such as Ireland Reaching Out and the Global Diaspora forum on what types of DNA testing would be beneficial in defining the genetic signature of the Irish people. Here Gerard presents the vast amount of Irish and DNA-relevant online resources he has amassed, all freely available, and describes some key aspects of DNA tests he personally has undertaken. Gerard says: I am passionate about the ability of Genetic Genealogy to help map the inbound and outbound Migrations to and from Ireland. I see it as a powerful tool for connecting the Irish Diaspora which numbers over 70 million. Projects such as the Ireland Reaching Out, Irish DNA Roots, Irish DNA Atlas, The Gathering, The Global Diaspora Forum and The Irish International Diaspora Center will help achieve this aim. The presentation will trace the history of migrations into and out of Ireland from the Mesolithic, Neolithic, Copper, Bronze, Iron Ages through Early Christianity, The Celtic Monastic Movement, Vikings, Normans, Gaelic, Tudor, Elizabethan, Cromwellian, Williamite periods, The Wild Geese, The Penal Laws, The Great Famine, Georgian, Victorian and Modern periods. We will look at how Genetic Genealogy and Ancient Irish Genealogies can help tell these stories. Finally we will look at concrete projects which will help connect the 70 Million strong Irish Diaspora to its homeland.